Please call our office at 818-889-4532 (4LFC) for an appointment, or fill out our contact form which will be sent directly to our office staff. Providing outstanding infertility and women's health services for over a decade! Dr. Anita Singh is a Board Certified Reproductive Endocrinologist and Infertility Specialist serving greater Los Angeles, California. Thank you for choosing LifeStart Fertility Center. Please complete the following steps prior to your first visit. Dr. Singh's personal experience with infertility helps her relate to the struggle that dealing with reproductive issues presents. Personal Reproductive Care and Infertility Treatment for SUCCESS! LifeStart Fertility Center is committed to providing our patients with the best fertility care to help them fulfill their dreams of expanding their families. Medical Director, Dr. Anita Singh and her staff establishes an atmosphere of trust and confidence for the patient that helps minimize the inevitable anxieties and stresses associated with fertility therapy. Providing professional and up to the minute treatment options under the safest conditions is a priority at our facility. Dr. Singh has a unique compassion for her patients. Her personal experience with infertility helps her relate to the struggle that dealing with reproductive issues presents. Listening to patient concerns allows Dr. Singh to create effective individual treatment plans based on her patient's needs. Her goal is to design fertility programs that address each couple's unique medical, emotional and financial need. Dr. Singh's areas of special interests include: In-Vitro Fertilization (IVF), Assisted Reproductive Technologies, Reproductive Surgery (Hysteroscopy and Laparoscopy), Female and Male Infertility, Reproductive Aging, Endometriosis and Recurrent Pregnancy Loss. LifeStart Fertility Center of greater Los Angeles provides IVF and Infertility services to patients locally and from around the world. We are currently accepting new patients at our Agoura Hills location and welcome the opportunity to help you achieve your dream. Please contact us for more information about our fertility programs. 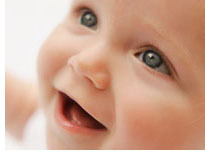 At LifeStart Fertility Center we specialize in Reproductive Endocrinology and Infertility. LifeStart Fertility Center provides a patient portal allowing patients to access and communicate securely.